Want to get rid of those ‘love handles?’ Coolsculpting could be a possible option for you. It’s the latest in the long line of cosmetic treatments that helps in getting rid of fat without having to undergo surgery. Who doesn’t want to have a slimmer waist? Many would want to have a slimmer, better sculpted waist. For most people, it’s one of the hardest areas to maintain. There are many ways to get a slimmer waist and some of these options may have various results. Start a workout program to tone and shape the body. Regulate the food intake and follow strict diet regimen. 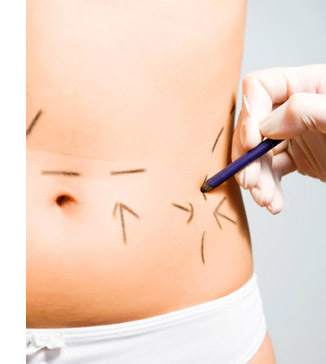 Go through a surgical procedure to quickly achieve the desired waistline. Staying fit and in good shape is probably in everyone’s wishlist. What diet and exercise cannot do, leave it to body contouring to get the job done. Likewise, losing weight does not mean a well-proportioned body. That is why cosmetic procedures such as liposuction, body lifts and even Coolsculpting are a huge hit for those who want to keep their body in excellent shape. Any body contouring procedure like a body lift or a tummy tuck will require a patient some time to recover unlike the non-invasive Coolscuplting procedure. Recovery is an important aspect of any cosmetic surgery. Someone who underwent a cosmetic procedure will need some time to heal before going back to her daily routine or even perform strenuous activities. A patient in recovery must adhere to a healthy diet and get enough rest, as well.